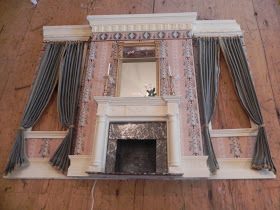 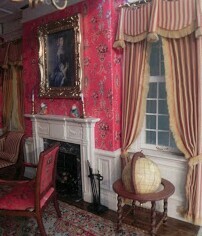 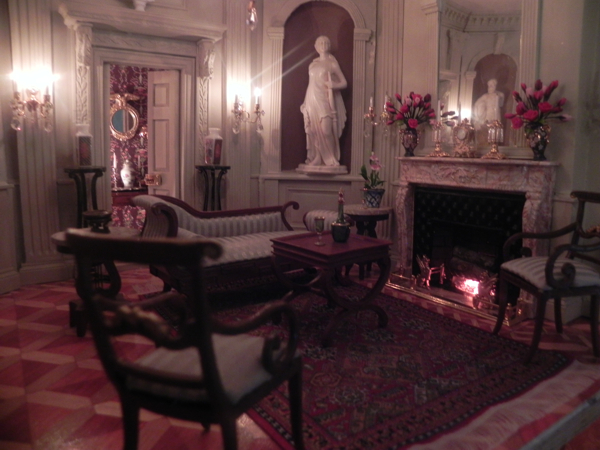 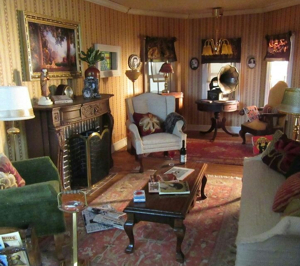 HERE'S A PHOTO OF MY EUROPEAN MANTEL BEING USED WITH A CHIMNEYBREAST AND GLOWING EMBERS. 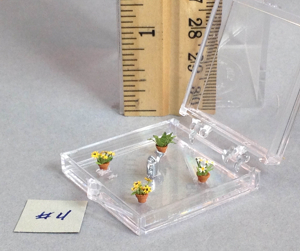 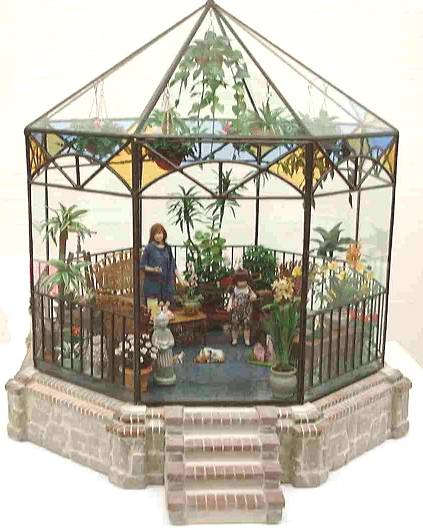 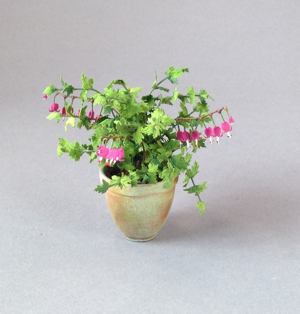 IT WAS HAND FINISHED BY MINIATURIST JOHN ELSNER. 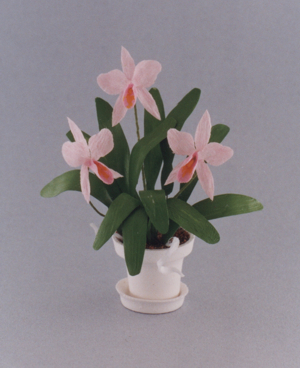 AN ORCHID FROM THE 1980s BY MARY PAYNE, FROM HER KIT (POSY PATCH ORIGINALS), PLANTED IN MY DECORATOR POT with SAUCER. 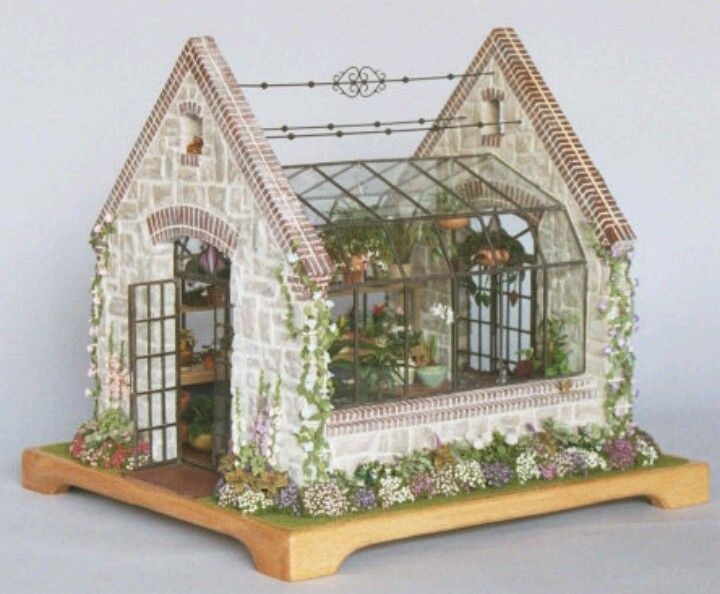 GREENHOUSES BY LINDA YOUNG FROM LADY JANE, USING STONE AND BRICK WALLS AND STAIRS FROM BRAXTON'S CUSTOM WORKSHOP. 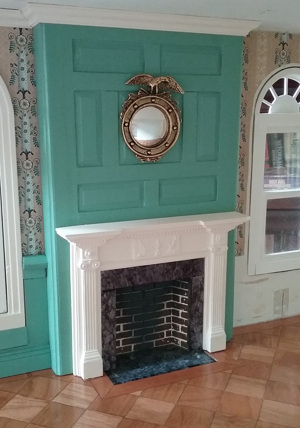 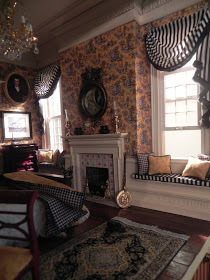 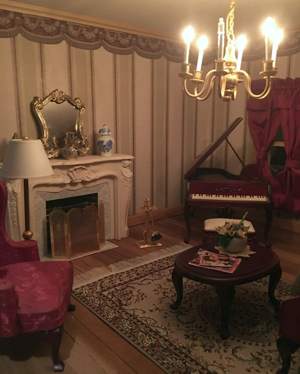 FROM LEFT: MY EUROPEAN FIREPLACE IN A ROOM BY PAULINE STEPIEN OF NJ; CLASSIC MANTEL WITH DECORATED CHIMNEYBREAST BY BETH GAITHER OF NC; FRENCH FIREPLACE IN ROOM BY NORMA VARRICHIO OF NY. 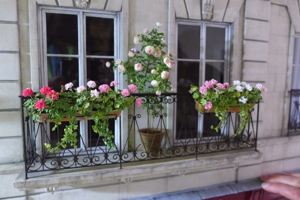 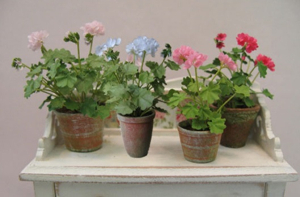 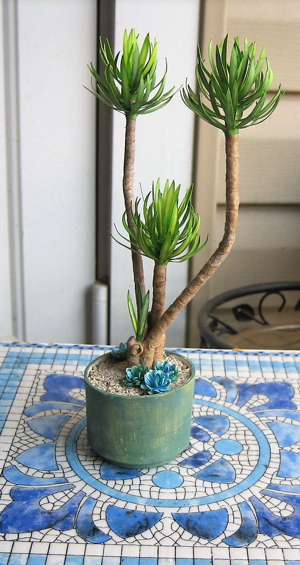 LEFT AND CENTER, TINY QUARTER-INCH FLOWERS IN MY PLANTING POTS, AND A PLANT IN HER HAND-DECORATED URN, BY MARY KINLOCH OF FL; RIGHT, A COLLECTION OF FLOWERS IN MY HAND DECORATED POTS BY pascale-garnier@sfr.fr OF FRANCE, WHO MAKES FLOWER KITS OF HAND-PAINTED AND DYED SPECIALTY PAPERS.